Response and recovery workers are the second line of defense in the immediate aftermath of a natural disaster. These men and women have to contend with the typical hazards of construction work but in an ever-changing environment where infrastructure may be severely or completely compromised. For this reason, disaster site workers must be trained in hazard control methods, exposure monitoring, and disaster-specific safe work practices. As anyone who’s ever worked in the NY area on major buildings or public works projects already knows, nowadays you can’t step onto a site without having a minimum of the 10-Hour OSHA card in your pocket. These same credential requirements hold true for workers involved in disaster relief and recovery projects who also are required to have additional instruction on Personal Protective Equipment (PPE), Confined Space, and the 16-Hour Disaster Site Worker training to name a few. Apart from the OSHA 10, the OSHA 30-hour Construction training course is designed to delve deeper into the 10-Hour subject matter and to provide advanced training on an expanded list of topics. The course is an appropriate training for supervisors and others with workplace safety responsibilities. We strongly recommend completing the 10-Hour or 30-Hour OSHA training prior to starting the 16-Hour Disaster Site Training. Our 16-Hour Disaster Site training is crucial for those who supply support services such as debris removal, utility and public works repair, demolition, heavy equipment operators, and other related construction trades. Primarily targeted for the trades, this training helps participants distinguish between health and safety hazards found at a typical construction jobsite from those at a disaster work site. The course covers topics such as pre-incident preparation, jobsite inspections, use of air-purifying respirators, and many other subjects essential to ensuring worker safety and health in response to disasters. For workers that will be directly involved in hazardous material cleanup or are first responders to a hazardous material spill and containment, it’s strongly recommended they complete a 40-Hour HAZWOPER training. TSCTA’s 40-Hour HAZWOPER training program covers pertinent provisions of EPA standards, proper use of decontamination equipment and procedures, review of air and contamination monitoring equipment, and core elements of an occupational safety and health program including emergency response plans and procedures. The training also includes hands-on demonstrations of PPE and interactive exercises in which students are made to apply the information taught during the course to mock hazardous scenarios. If you’ve previously taken a 40-Hour HAZWOPER training, you must renew your certification annually by completing an 8-Hour Refresher course. Beyond the recommended OSHA certifications, disaster workers should have training in PPE, Fall Protection, Confined Space training, Hazard Communication, as well as CPR/First Aid/AED training prior to being deployed into a disaster zone. 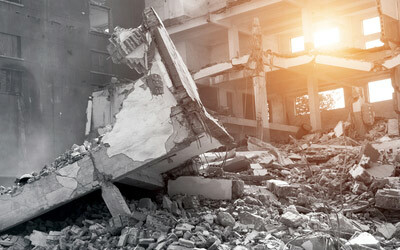 The unique and constantly changing landscape of a disaster zone makes proper training a vital part of any disaster recovery effort. Getting certified prior to a disaster will get you onto a site but training just prior being deployed will help ensure everyone comes home safely. If you’re interested in getting the recommended certifications, please see the full list of disaster site related training we offer below. 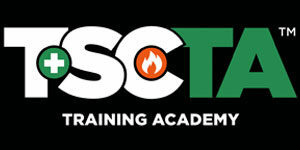 As always, we can be reached via email (info@tscta.com) or over the phone – 718-389-2103.